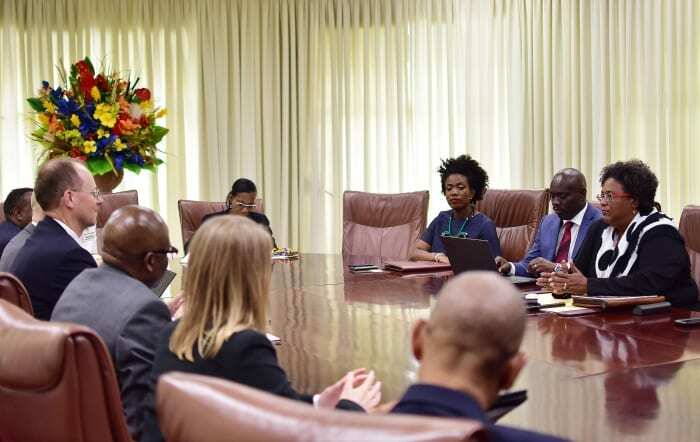 Government announced today that a team from the International Monetary Fund (IMF), led by Bert van Selm, had arrived in Bridgetown on a three-day visit. It is expected that during this visit the IMF mission will update itself on the current economic and financial situation in Barbados, ahead of discussions with the authorities, over a potential programme in the coming weeks. Government also announced that it had appointed White Oak Advisory Ltd. to act as its financial advisor in the context of the debt restructuring process announced on 1 June, 2018. The financial advisor is in the process of establishing initial contacts with affected creditors, and is expected to soon commence creditor engagement on the basis of the medium-term macroeconomic projections to be finalised by the Government in the coming weeks. In the meantime, all queries relating to the announced debt restructuring should be directed to the financial advisor using the email address barbados@whiteoakadvisory.com. The Government stated that it has held discussions with the rating agencies since last week’s announcement, and it is expecting that Barbados’ credit rating will shortly be adjusted down to Selective Default (SD), as is customary when comprehensive debt restructurings are announced. Information for creditors will be posted periodically here.